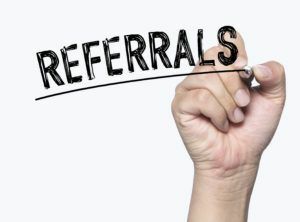 Do you ever wonder if you’re maximizing your referrals? When’s the last time someone sent you a referral? And how long did it take you to follow up with the referral? Check out this week’s tip on how to maximize referrals in your business. You may be diminishing your chances of getting another referral from your source based on how long it takes you to follow up. Awhile back a trusted colleague sent an email introducing me to someone who she thought would be a good resource for my business. The referral was really for the person she was introducing me too, as I was a potential client for her. I was interested in connecting with this person and finding out more about her and how her services would benefit my business. I immediately responded to the email introduction asking to set up a time for a phone chat. She replied that she was very busy and would get back to me in a week or so. After a few weeks had gone by with no response from her, I reached out again asking to set up a time to chat. She’s never responded. The person who took the time to do the introduction asked me last week how the conversation went. When I let her know that I didn’t think the woman was interested in working with me, my colleague was disappointed in her friend’s lack of response. She even mentioned she was hesitant to send any additional referrals her way going forward if she wasn’t even going to follow up. Of course, we all get busy, and sometimes things do get missed. However, when people go out of their way to make an introduction and/or send a referral to you, follow up should be a priority. If you’re letting days go by before you follow up or worse yet, not following up at all, you’re potentially damaging your reputation. Whenever possible, stop what you’re doing and follow up immediately. It’s a sign of respect and appreciation to the person sending you the referral. It’s also way more likely they’ll continue to send referrals your way.